I’ve been seeing whipped feta on Pinterest for a while now, and I finally got around to making it. It’s incredibly easy to make, and is an awesome spreadable feta that’s perfect for sandwiches or dipping. Feta is one of my favorite cheeses because it has such a strong salty flavor that a little goes a long way. It’s common with a lot of Greek dishes, but is also fantastic with eggs. 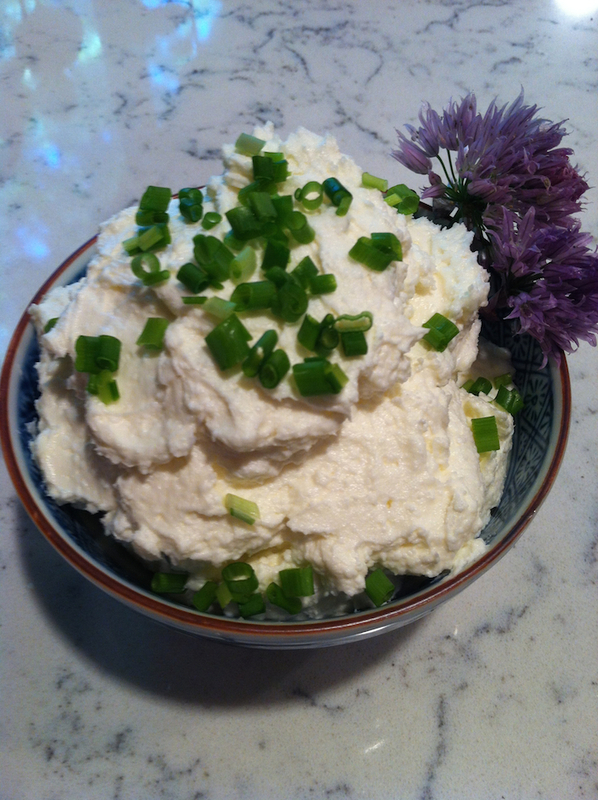 I made this whipped feta to go with my savory waffles, it was a match made in heaven. I garnished this with chives from my CSA. In a large bowl (large to make sure you don’t splatter everywhere), beat the cream cheese until light and fluffy, about 2 minutes. Add the feta and beat well until fully incorporated. 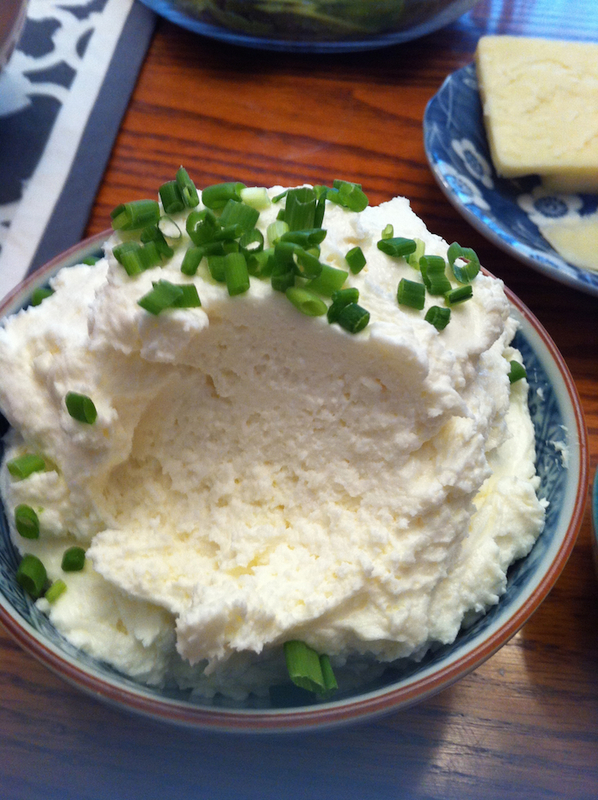 Alternatively, you can combine the cream cheese and feta in a food processor and blend until smooth. Spoon into a serving dish. Garnish with chives, if desired. Looks great, must try! What do you serve it with ? Oh, you gave suggestions above!